Who knew “Cherry Creek” is more than just a mall? I had no idea that an entire neighborhood sits north of the mall, and it’s filled with some fabulous history of famous and not-so-famous tidbits. Here’s my narrative of our urban hiking adventure through Cherry Creek. The Cherry Creek neighborhood, which the City says is bounded by the Cherry Creek on the south, East Sixth Avenue to the north, University Boulevard and Colorado Boulevard on the west and east, respectively, includes both the mall (and its boutiques and good restaurants) and the accompanying residences. The Cherry Creek Trail runs along its southwestern edge. Unbeknownst to most Cherry Creek residents, the neighborhood originally settled with one of the first black colonies in Denver. Next to it was the city dump which became the mall in the 1950s. Eventually with Cherry Creek Dam controlling the creek and the “disappearance” of the dump, higher dollar homes moved in. Yet, some of the older homes still remain. Harman, founded in 1871, still shows up, but only subtly. At one time the Denver Square at the corner of 4th and St Paul was the Town Hall, housing the police, a jail, a court, the Mayor’s office, and the fire department. 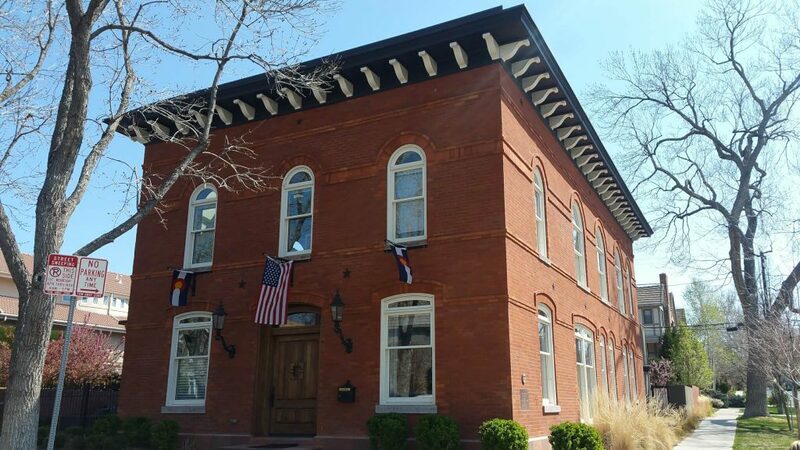 The Denver Evening Times of February 3, 1887, reported that “Harman incorporated because irrigation for crops and trees was needed for protection against tramps, bums, bummers, and the liquor traffic.” Now, Harman is gone and the Town Hall is a private residence with a small plaque outside denoting the historical significance. A few of the first generation homes still remain, but probably not for long. 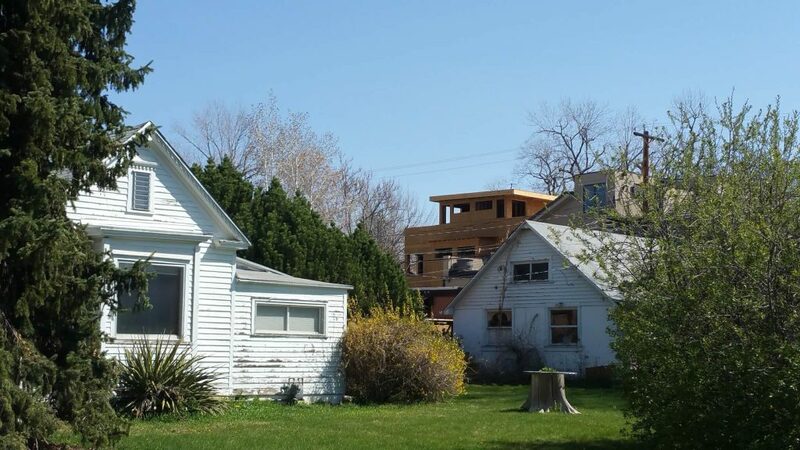 I passed a small brick home that just sold for $980,000 to be scraped and turned into someone’s dream home. Yet along some of the streets closer to the mall sit many duplexes and multi-family homes. 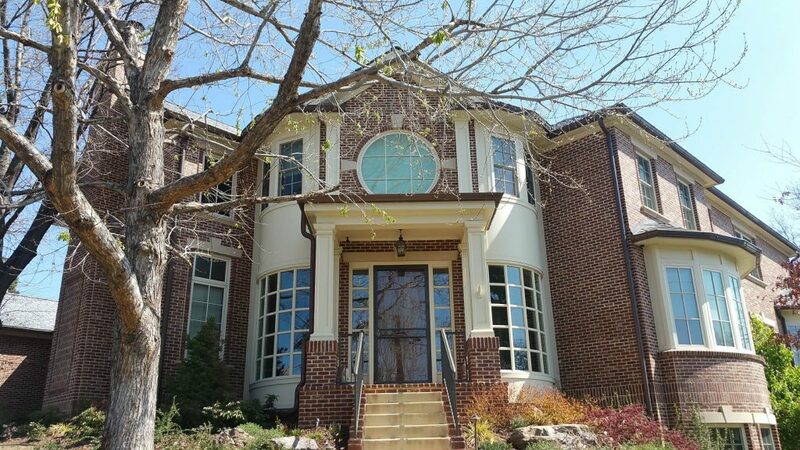 So not all of Cherry Creek North is full of giant homes. The next time you go shopping at Cherry Creek, leave the mall and park in the parking lot as described below. 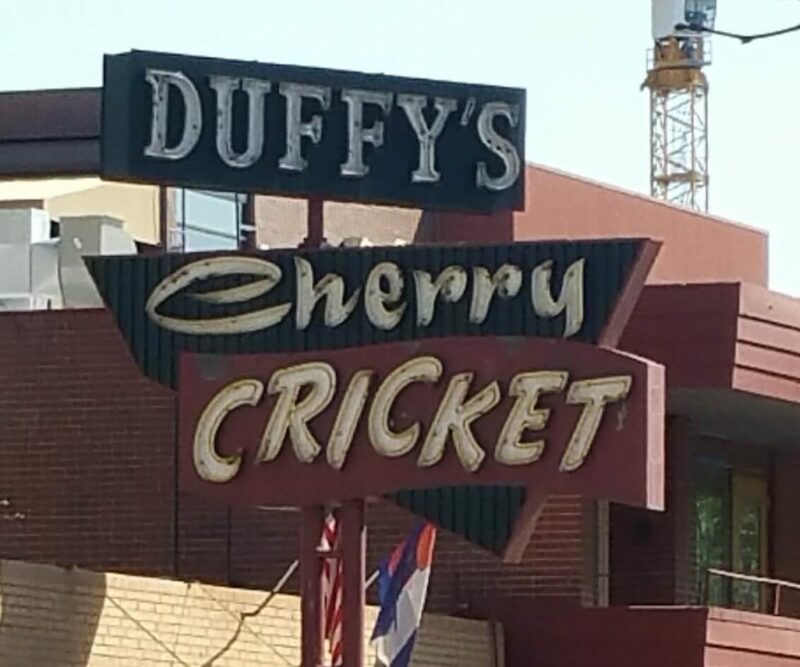 Go for a walk, enjoy this interesting neighborhood, then grab a bite at any of the fabulous restaurants, such as the Cherry Cricket, an original. Enjoy an urban hike through Cherry Creek! Start at Pulaski Park, whose closest address is 246 S Madison. 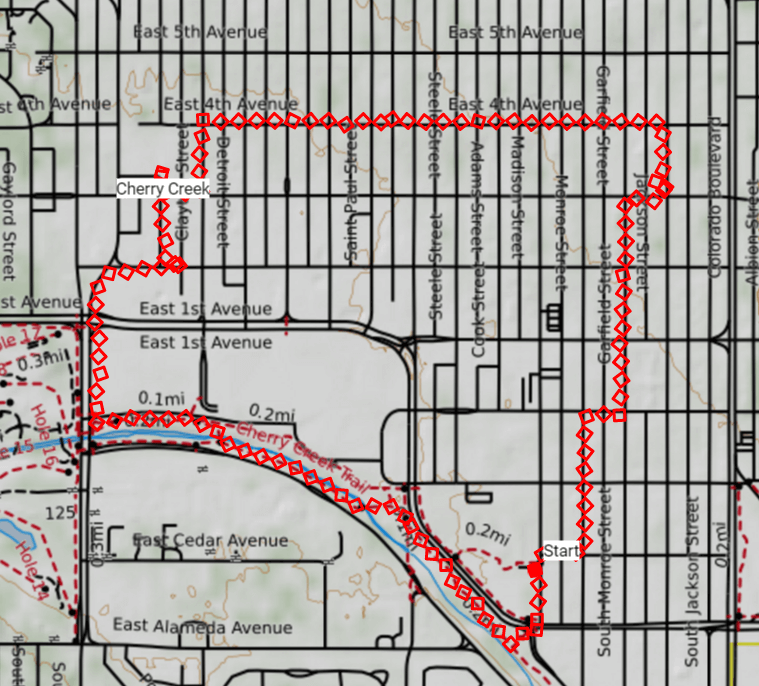 Walk southwest across the park, crossing Cherry Creek N to get on the Cherry Creek trail. Walk northwest along the trail, passing the City of Karmiel Park and Karmeil Children’s Garden. Stay to the left at the trail forks, crossing Cherry Creek. Continue northerly, and cross Cherry Creek again. Turn right on University Blvd and cross E 1st Ave. At 2nd Ave, veer to the right. Take a left on Clayton. 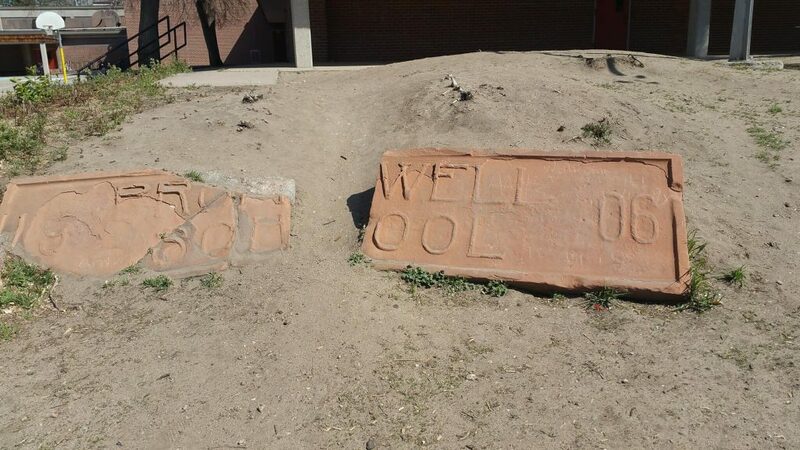 Cross 3rd and walk up to the school to see the old Bromwell sign. Continue to the east on 3rd, turning left on Detroit St. Take a right on 4th. Walk to St Paul. At the intersection of 4th and St Paul, enjoy the old Harman Town Hall. Continue along 4th to Jackson where you’ll take a right. Continue down Jackson where one of the old homes sold for almost $1million just to be scraped. At 3rd Ave, take a right, then take a left on Garfield. Walk through all the duplexes and multi-family housing. This neighborhood is where, I think, the original black colony was. Take a right on Cedar, cross S Madison, and return to the park where you started.